Test automation’s failure created a strange situation. The dirty secret in software testing departments is their shortage of labor. While often self-imposed, many testing departments are nonetheless under-staffed and over-committed. The problem isn’t unique to the United States and Canada, as enterprises in England, Australia and throughout the developed world have long been reluctant to fund fully-staffed testing departments. And who can blame the executives who create and approve testing budgets? Every other department under their purview has used automation to become much more efficient in recent years, with testing a notable and unfortunate outlier. 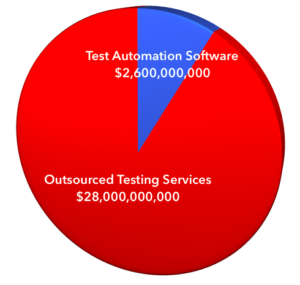 Enterprises spend $10 on outsourced testing for every $1 on test automation software, per IDC. 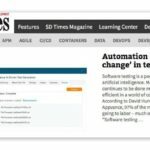 The fault lies with the sorry state of test automation software, which has failed to make a dent in the crippling labor intensity of software testing. 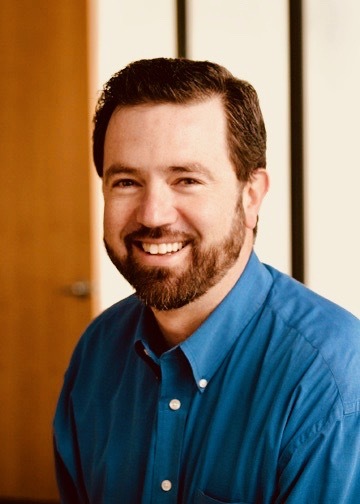 Many CTOs and CFOs have responded by outsourcing their testing to offshore testing services companies, notwithstanding the inevitable hit to agility that such long-distance outsourcing brings. The solution is to attack the fundamental problem of scripting. Reduce its labor intensity by an order of magnitude, or two orders of magnitude, or even three orders of magnitude, and everything changes for the better. That’s what Appvance.ai has done with our new Appvance IQ test automation system. It uses AI scripting to achieve a thousand-fold productivity improvement, especially when used for regression testing. 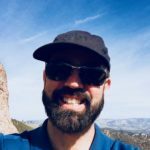 It turns out that when scripting is 1,000 times more productive, even previously short-staffed testing departments can handle the flow and keep up with ever-growing commitments. If your team is ready for an order of magnitude change, now is a great time to get a live demo of the AI driven Appvance IQ test automation system. Request yours today.